Rubina Ali's book will share her ups and down living in Mumbai. 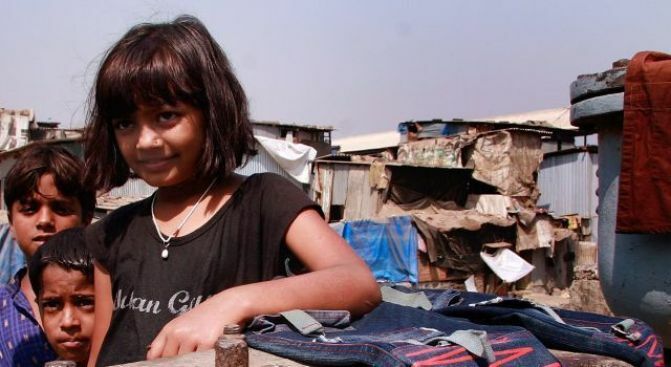 "Slumdog Millionaire" child star Rubina Ali said Saturday that her home had burned down in a fire that raged through a crowded slum in the Indian city of Mumbai. Most of the awards that she received for her role as a poverty-stricken child in the Oscar-winning film were destroyed in the blaze that erupted in the Garib Nagar slum late Friday, the 12-year-old said. She said that she and other members of her family were watching television when they heard shouts of a fire and ran out of their tin-roofed shanty. "We just grabbed what we could and dashed out. The fire spread so fast we couldn't get back in," said Rafiq Ali, Rubina's father. "It's all gone. Even my best clothes, everything," a tearful-sounding Rubina said over the telephone. The child star said the family was yet to move into a new apartment paid for by a trust set up by the film's director, Danny Boyle. Rubina played the young Latika in "Slumdog Millionaire," the rags-to-riches blockbuster that won eight Oscars. Police were investigating the cause of the fire, which left 21 people injured and 2,000 homeless. Fires often break out in Mumbai's sprawling slums, usually sparked by electrical short circuits from the many thousands of illegal power connections.